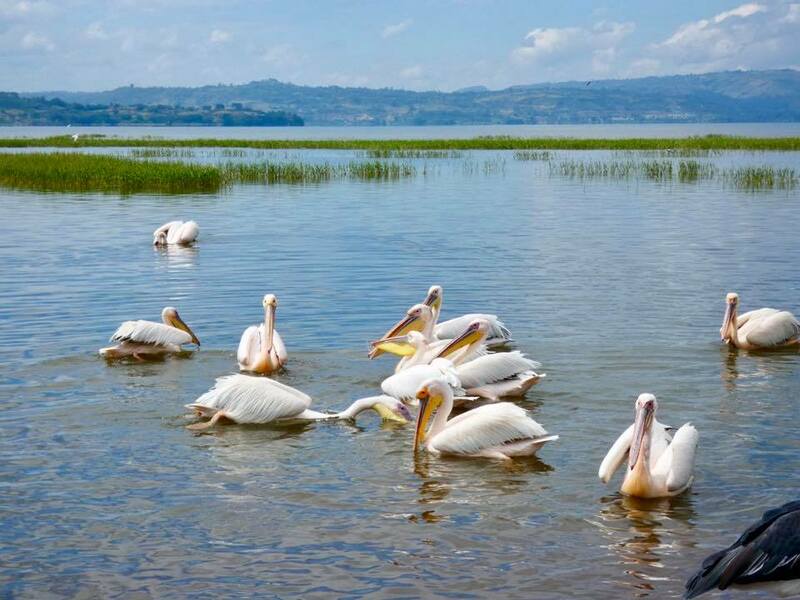 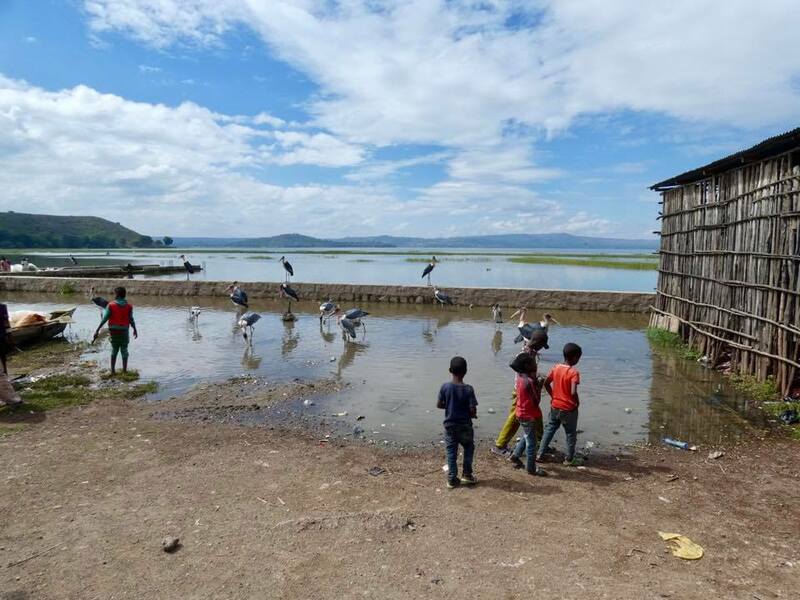 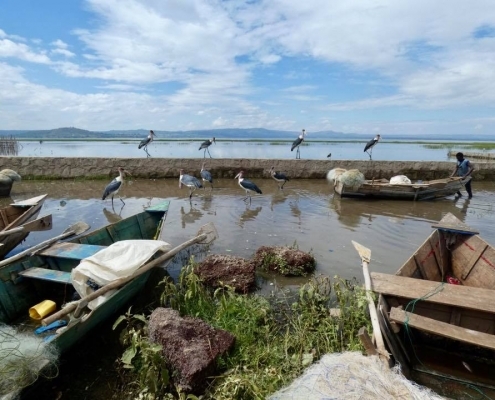 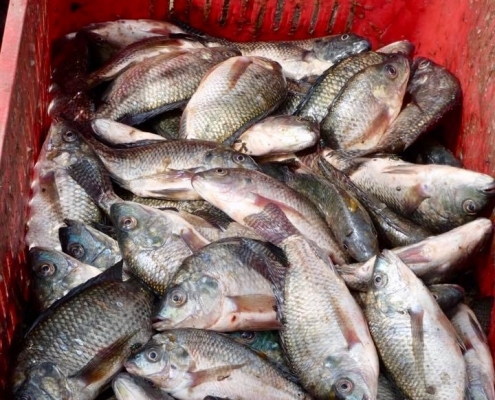 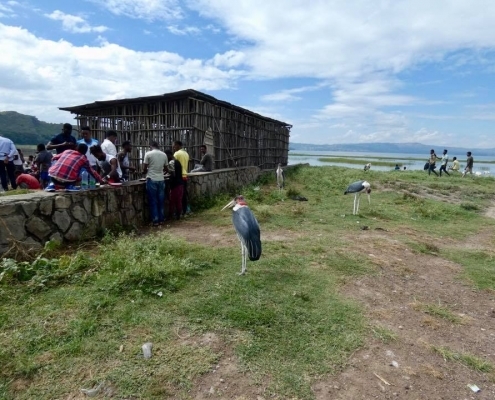 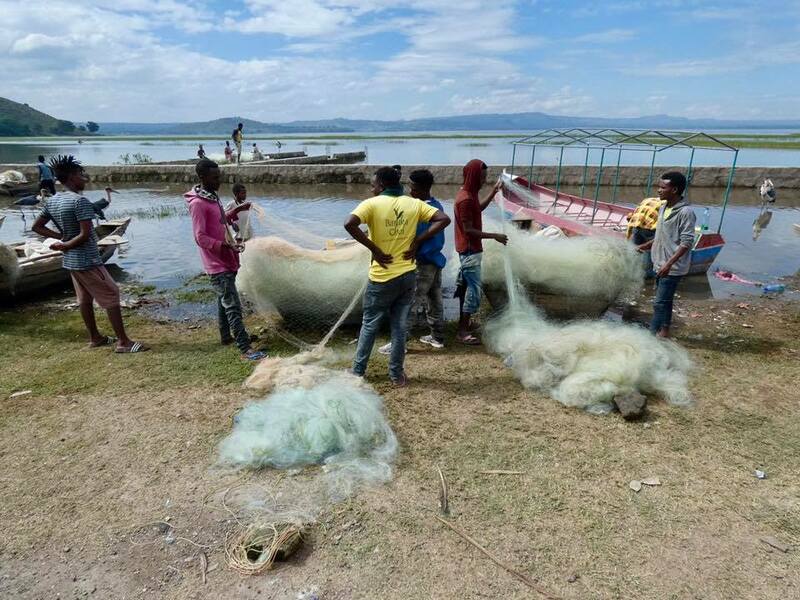 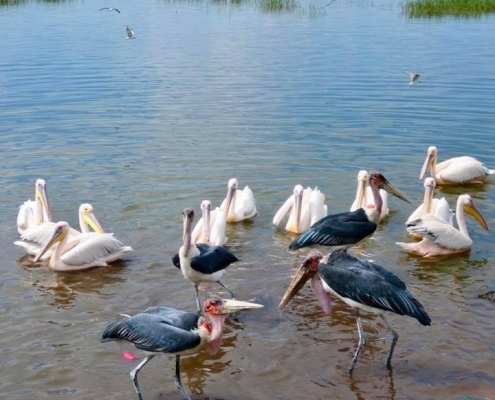 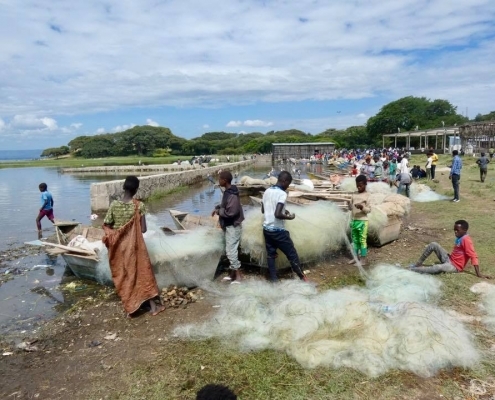 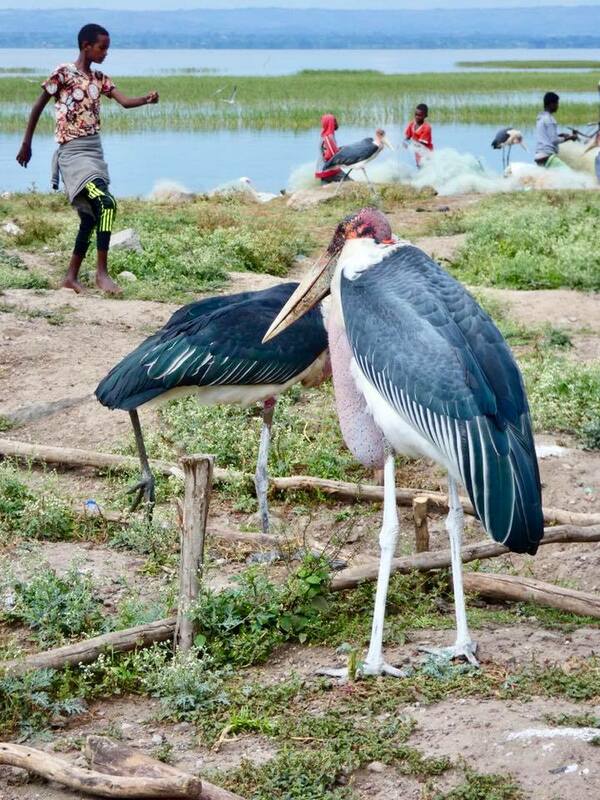 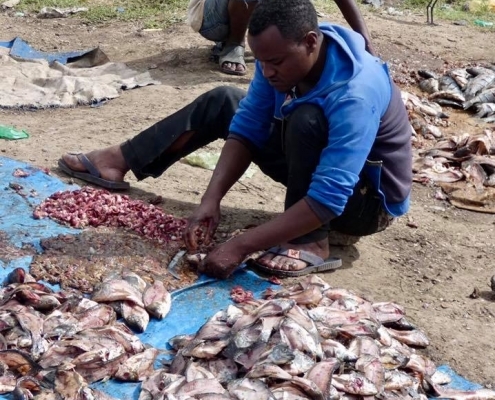 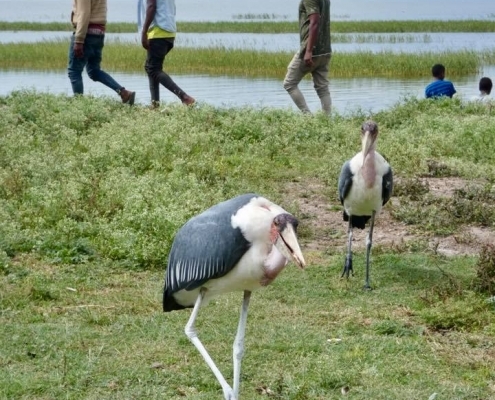 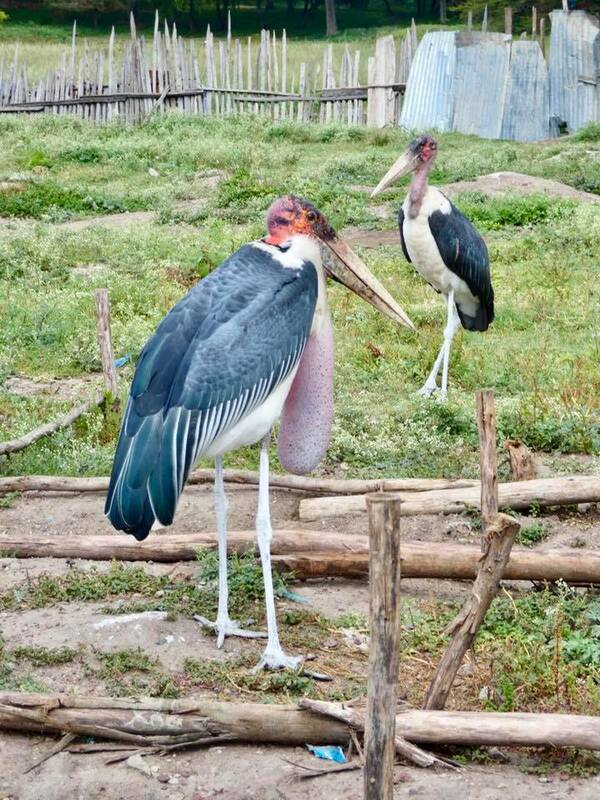 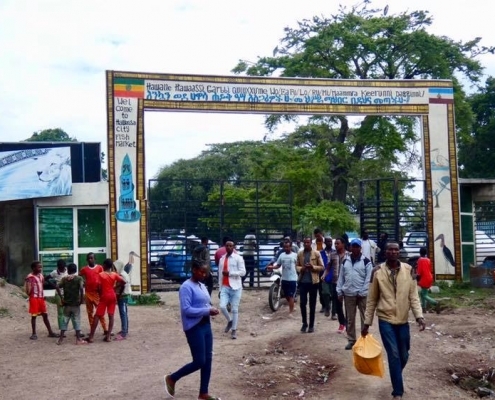 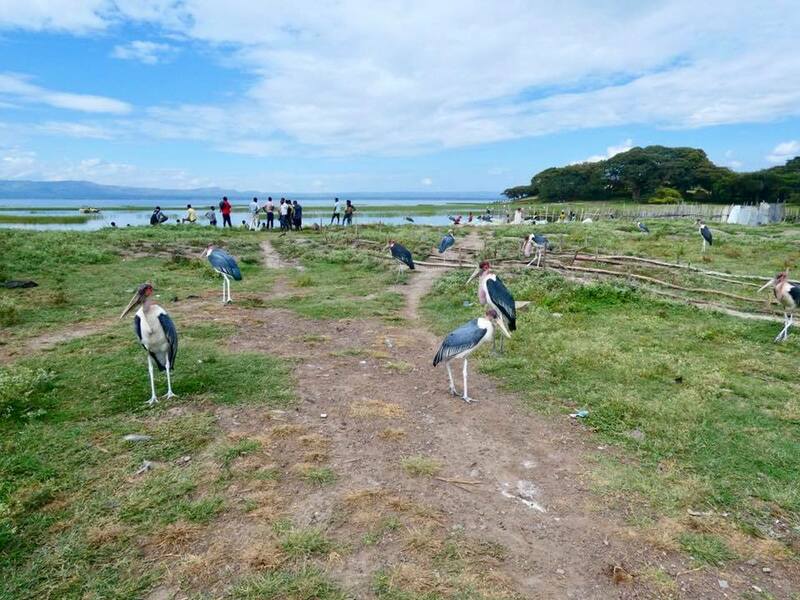 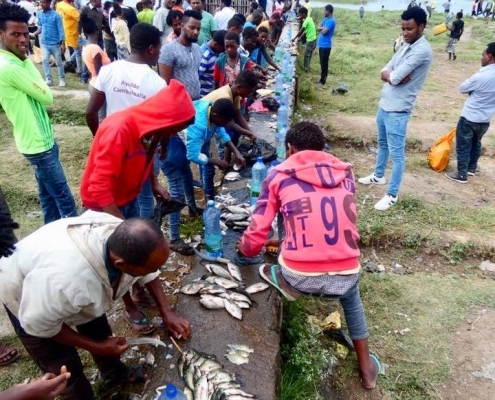 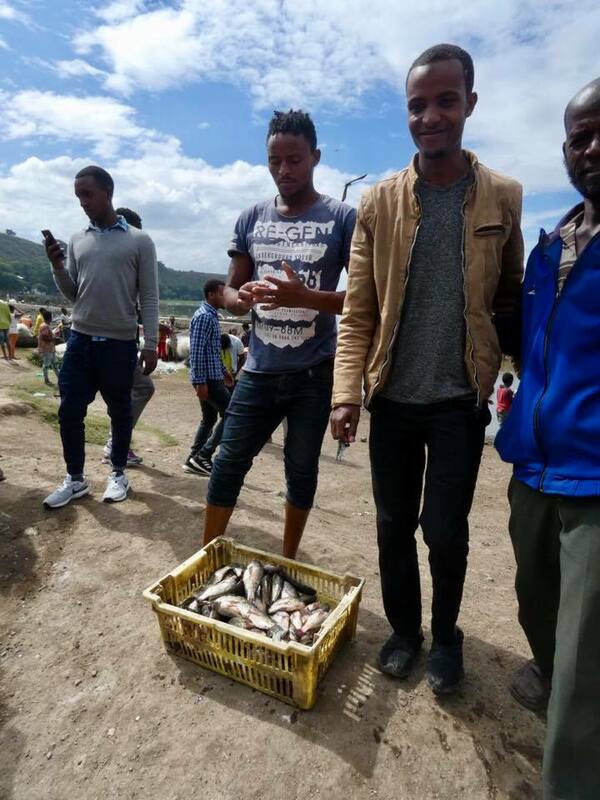 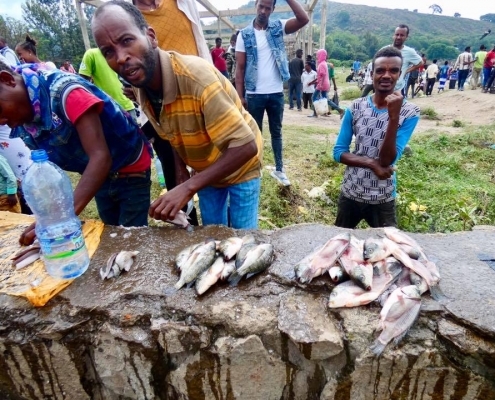 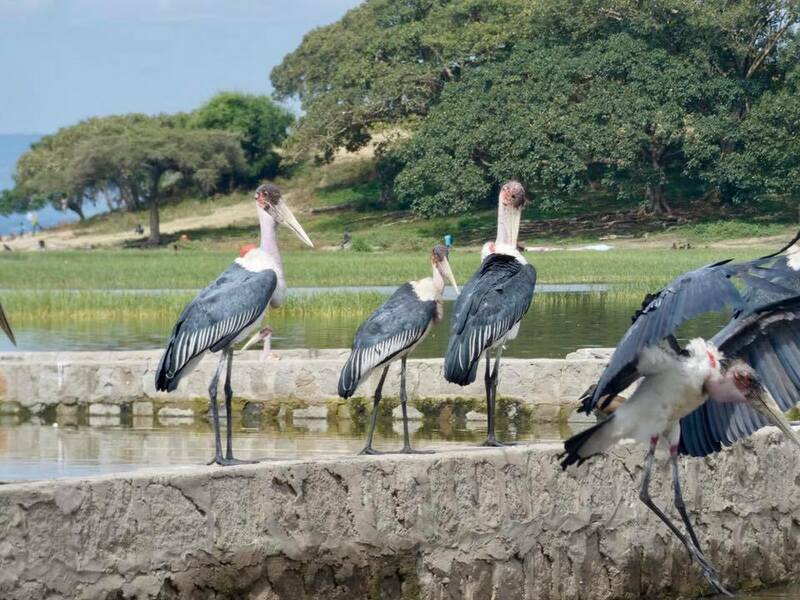 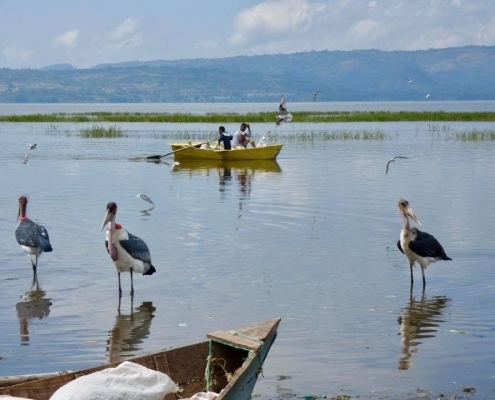 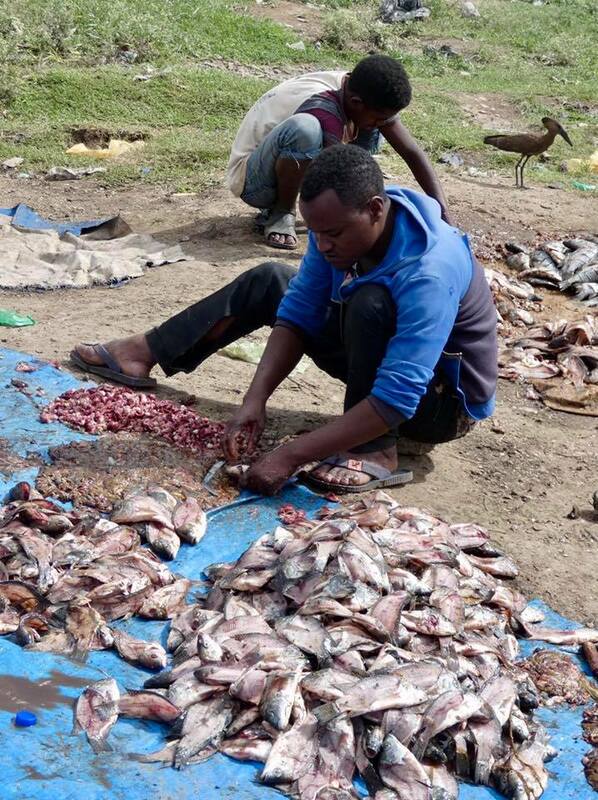 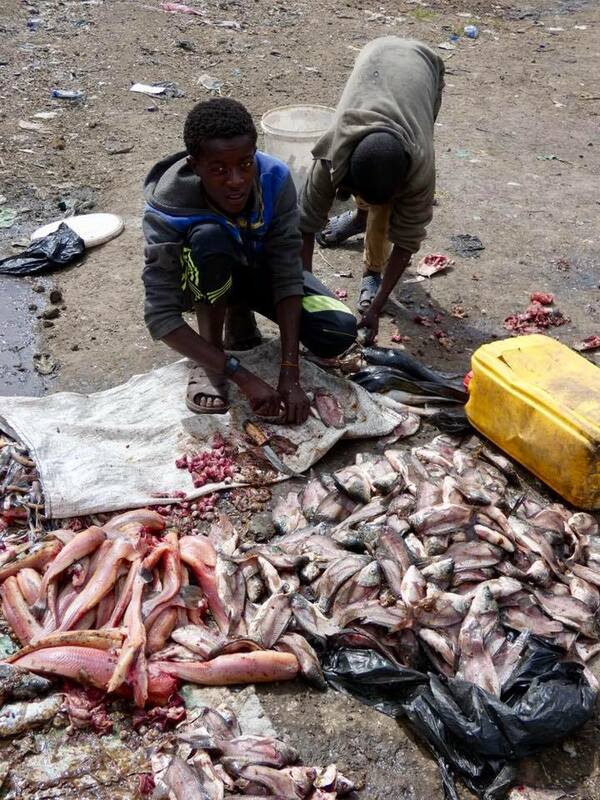 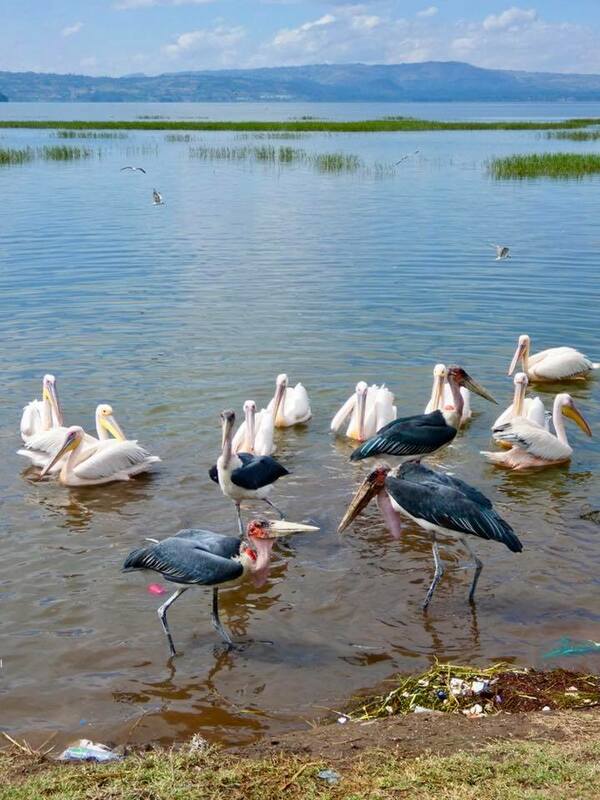 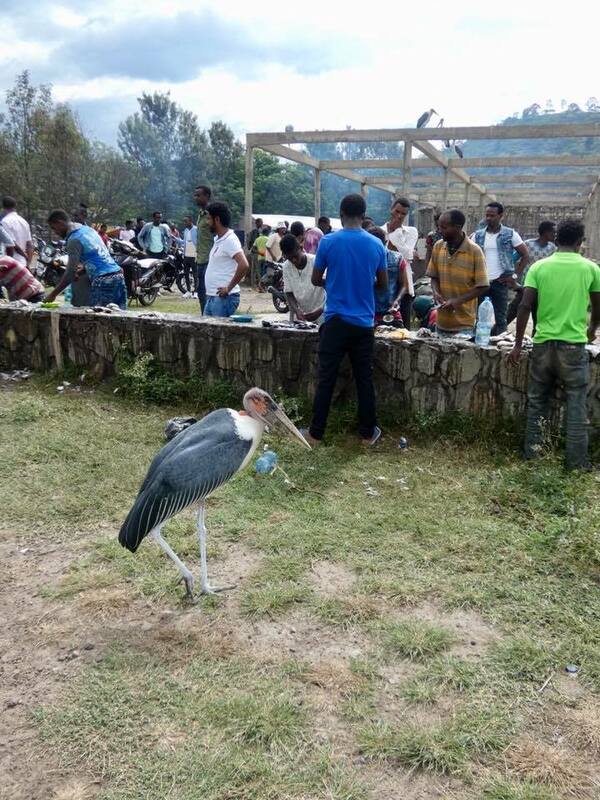 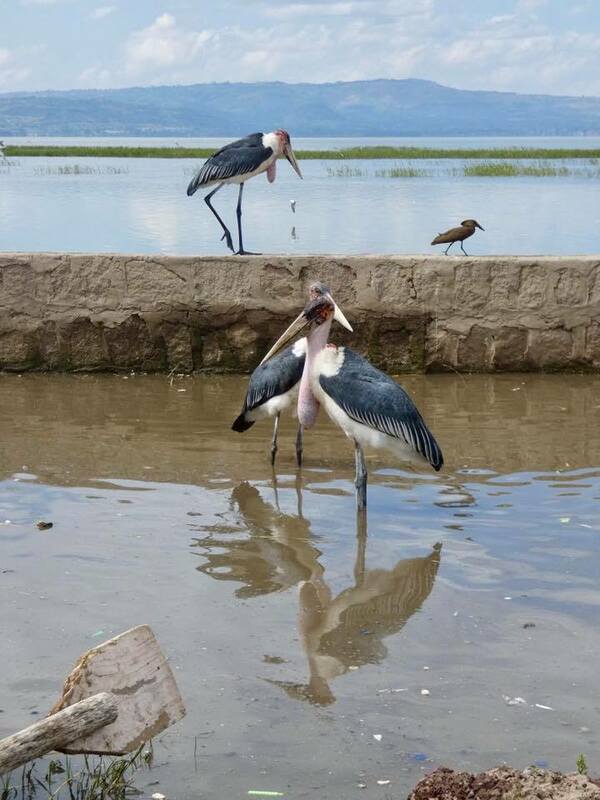 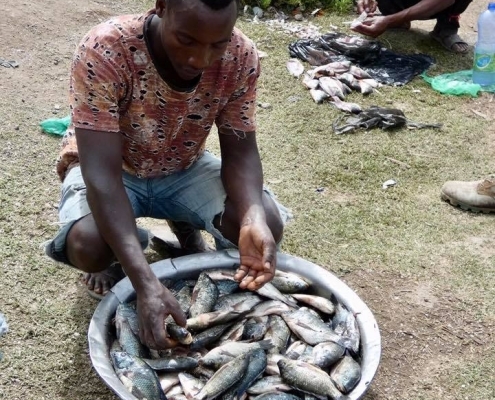 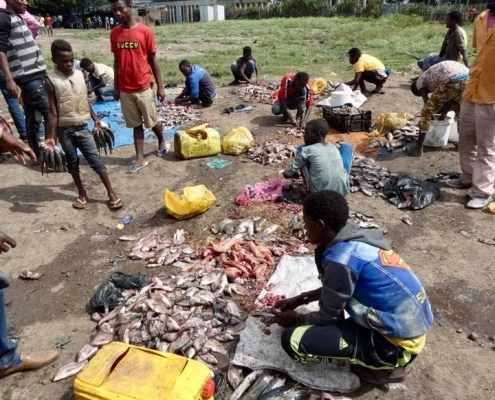 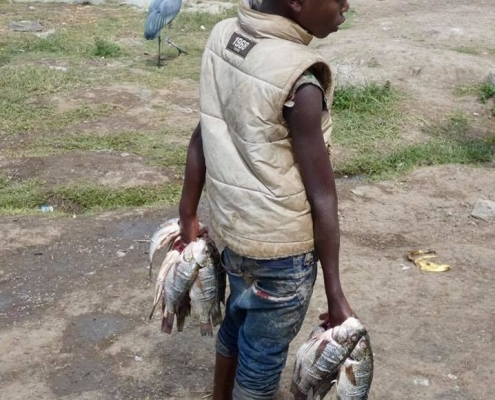 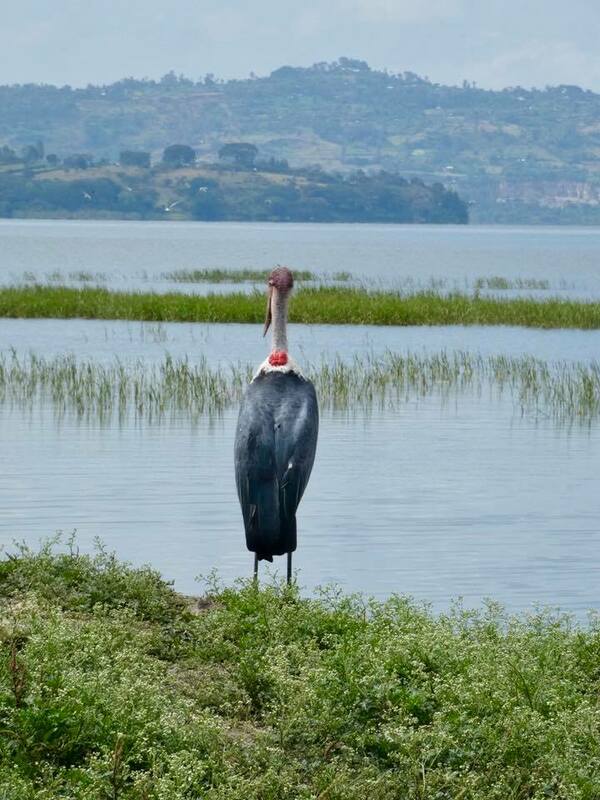 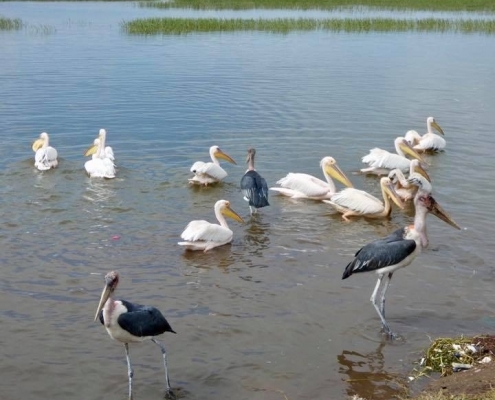 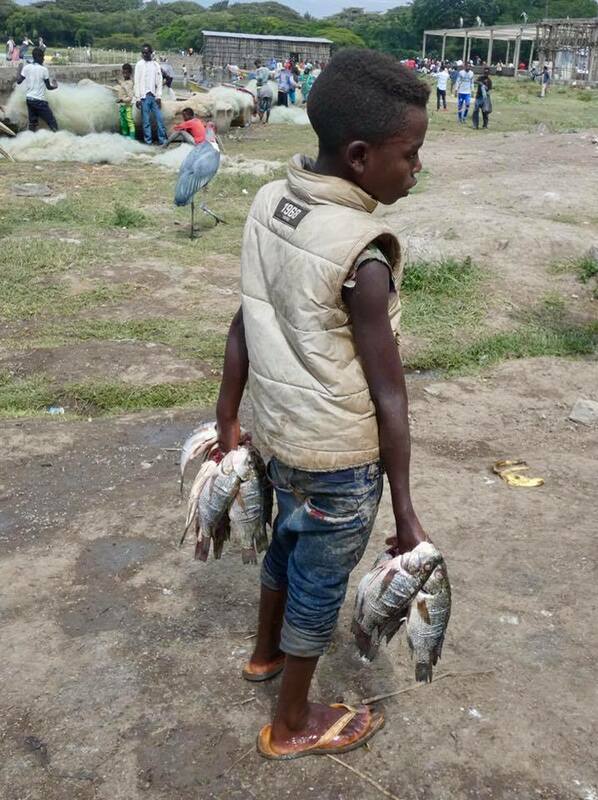 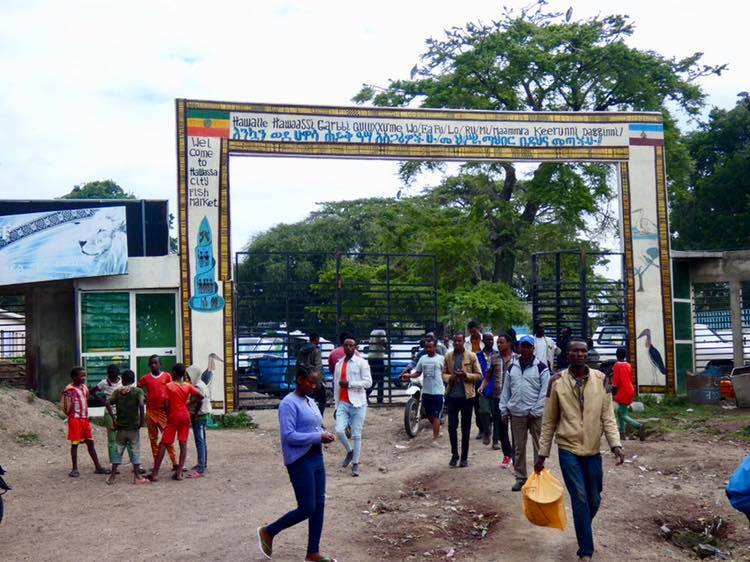 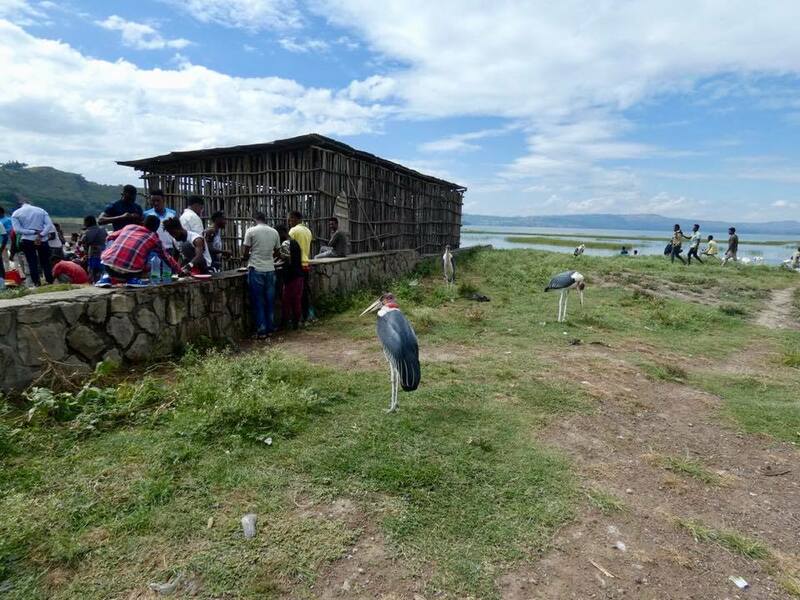 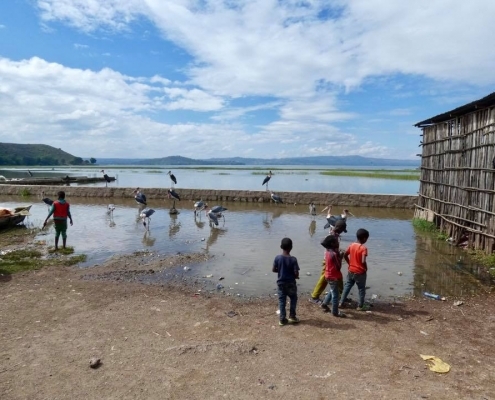 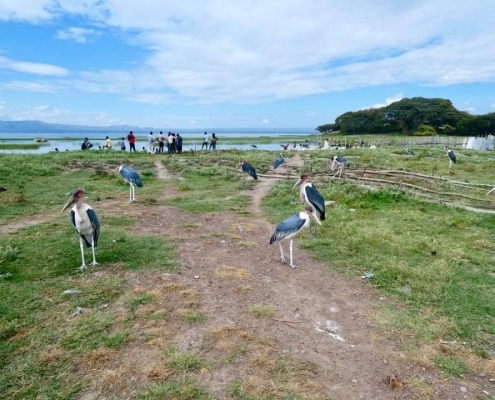 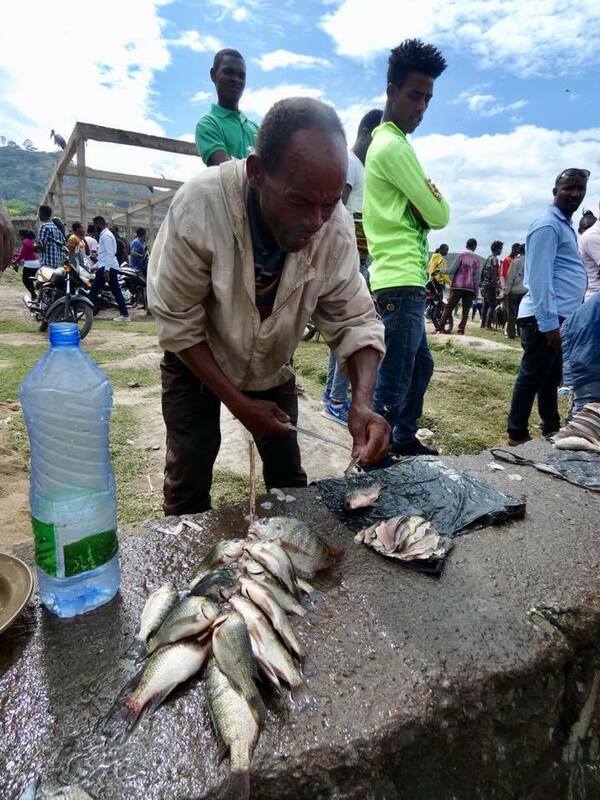 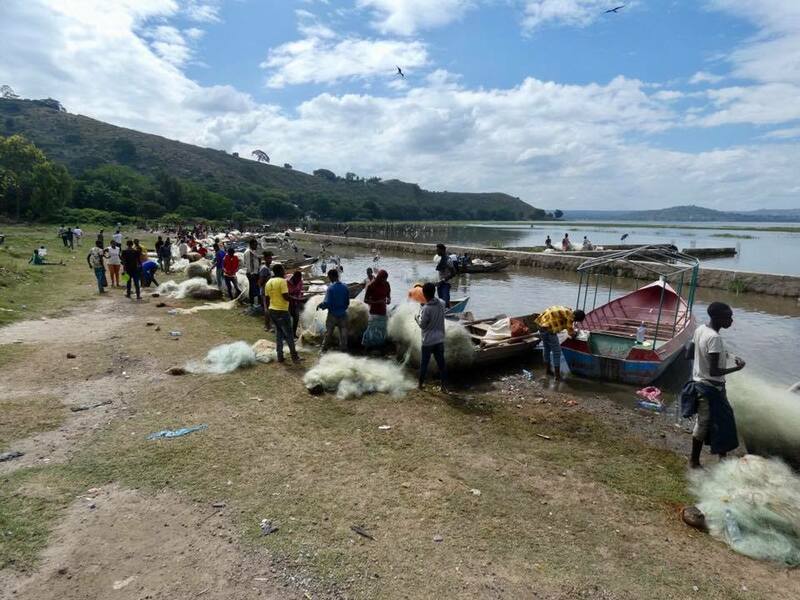 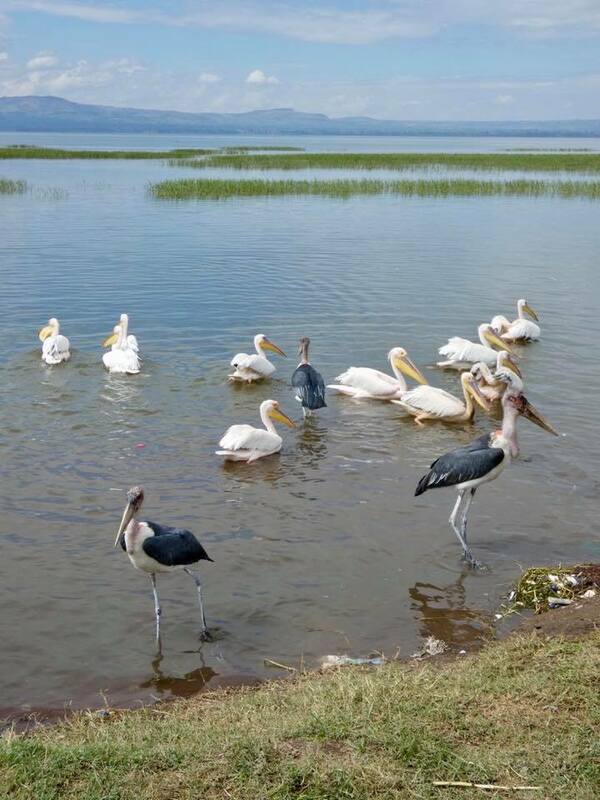 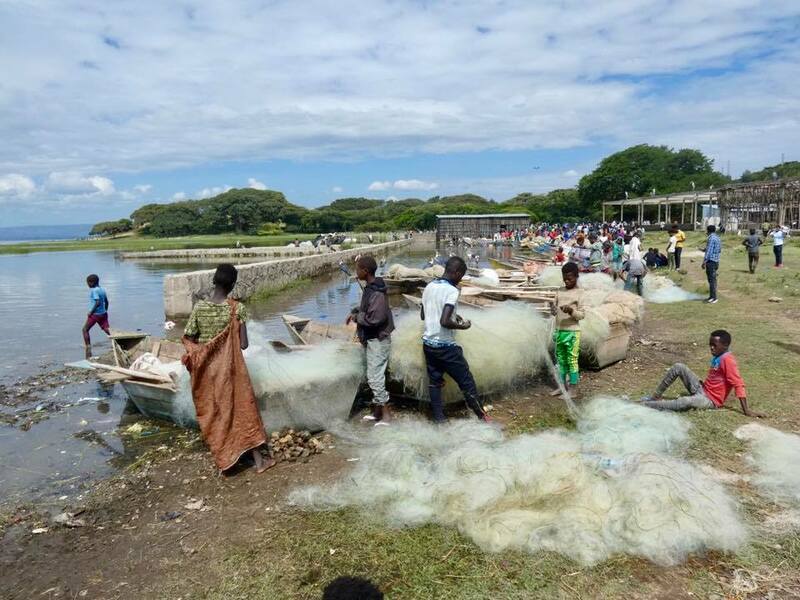 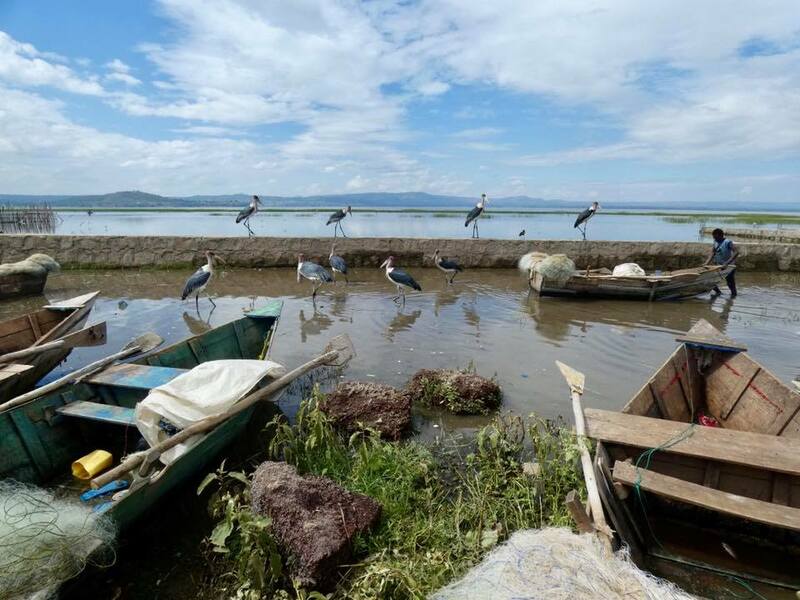 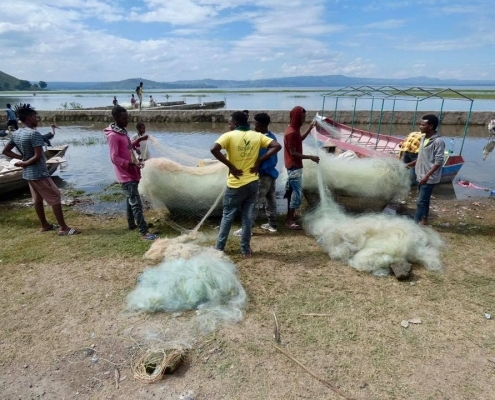 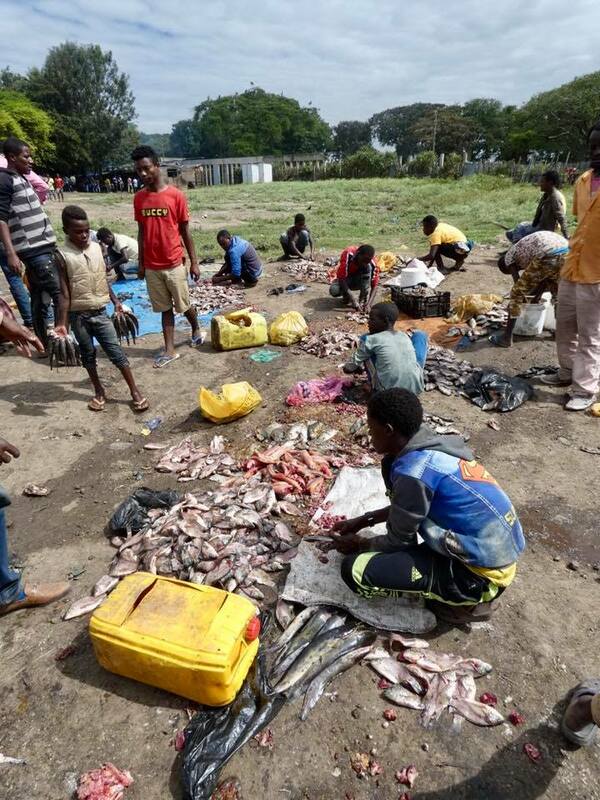 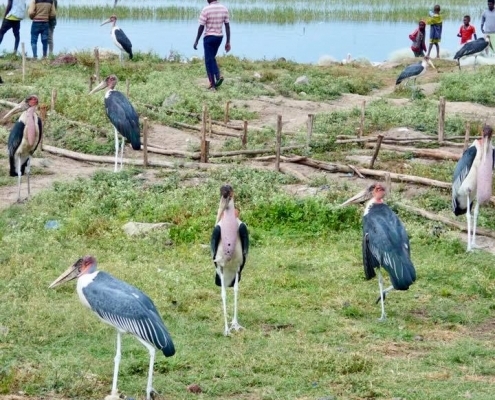 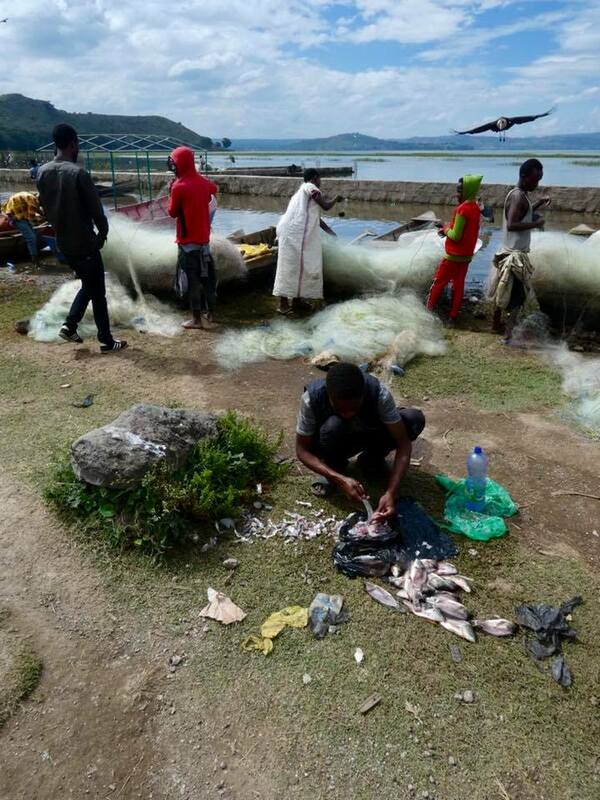 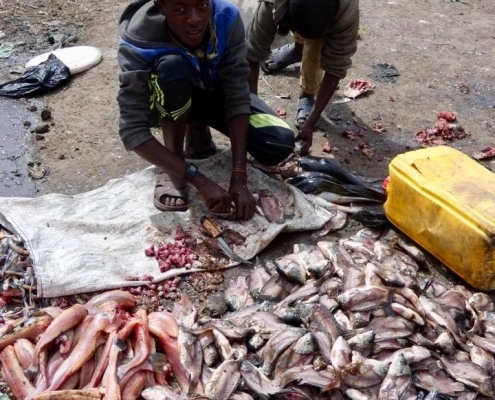 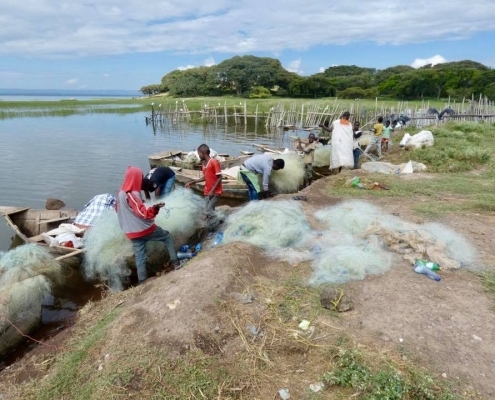 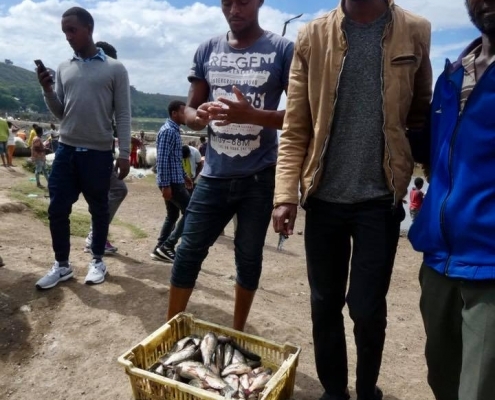 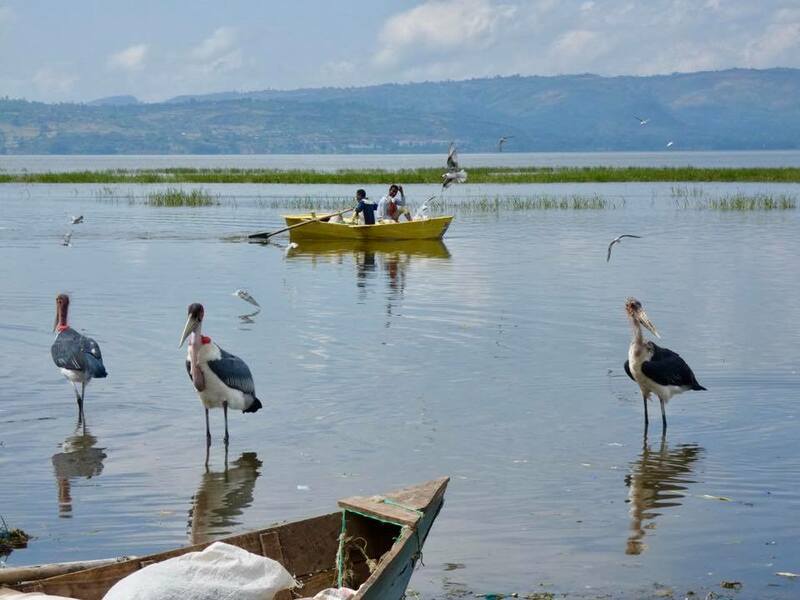 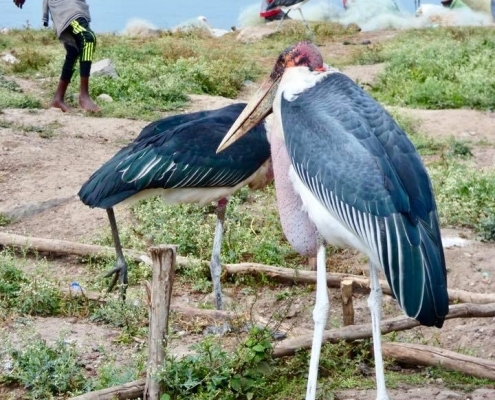 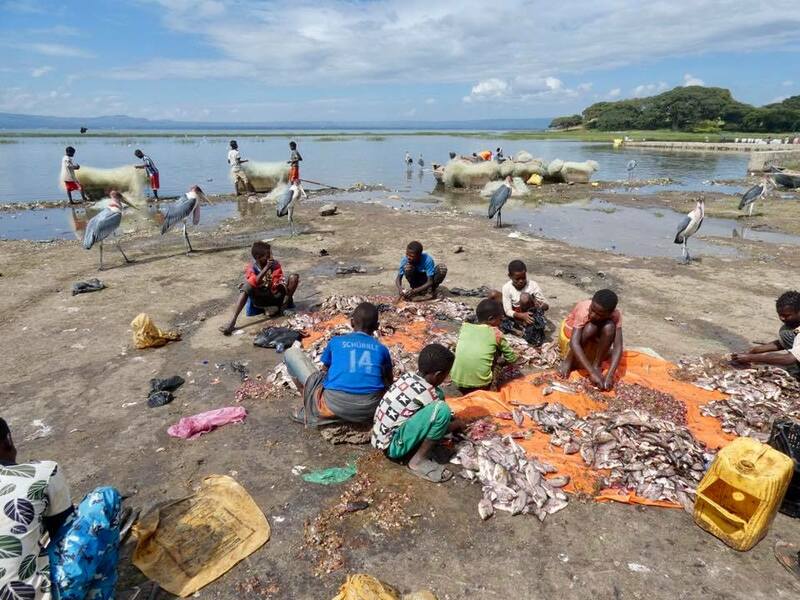 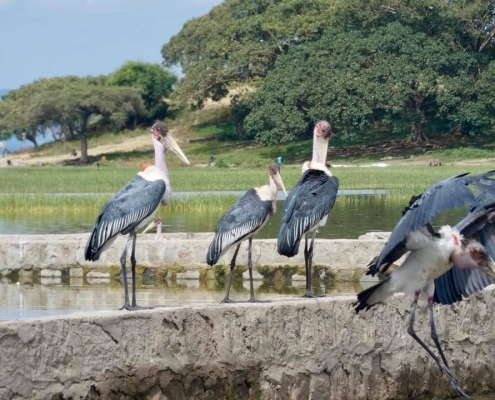 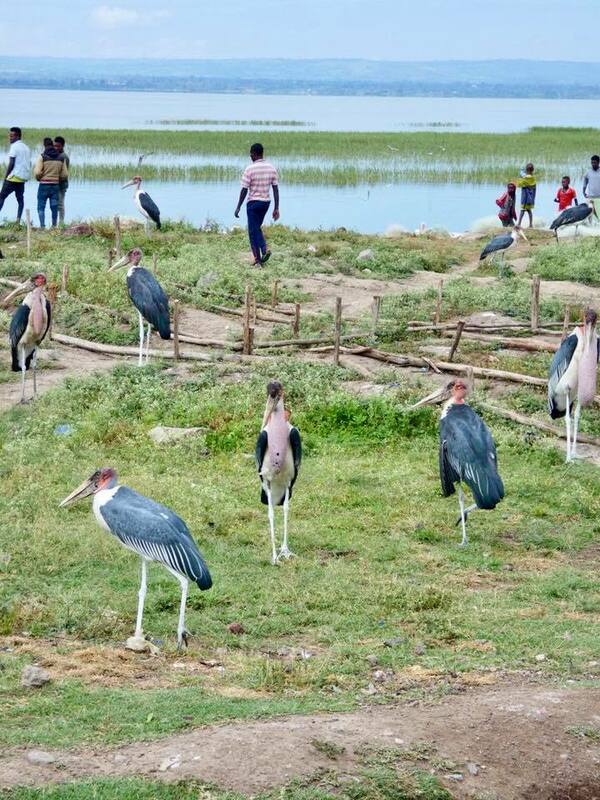 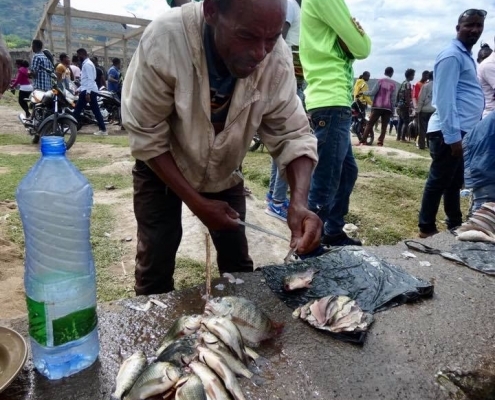 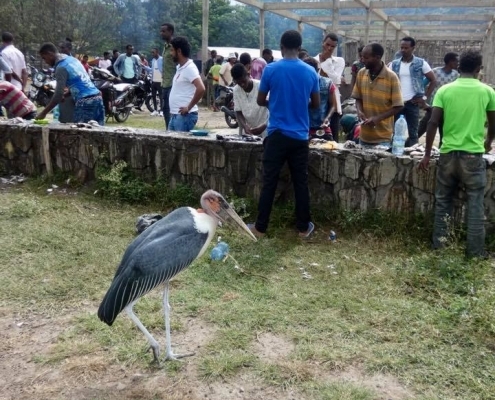 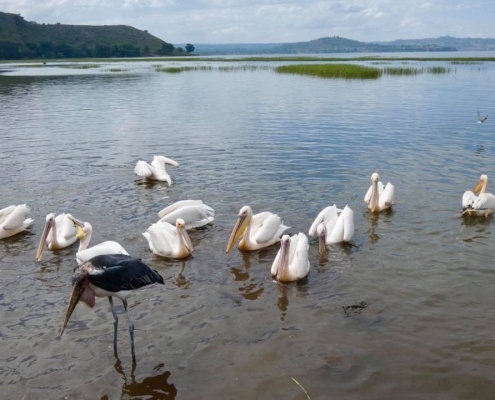 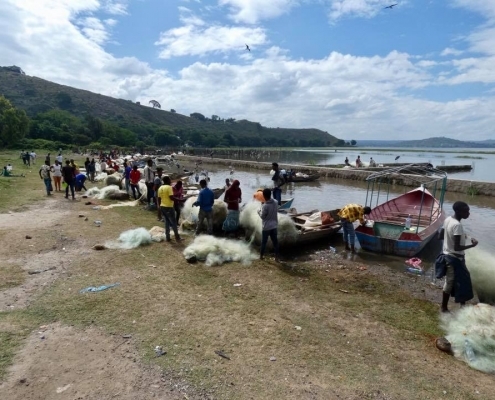 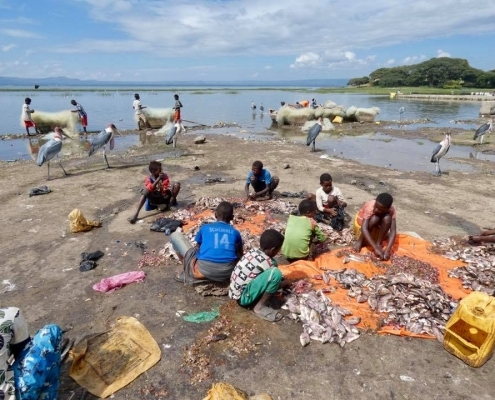 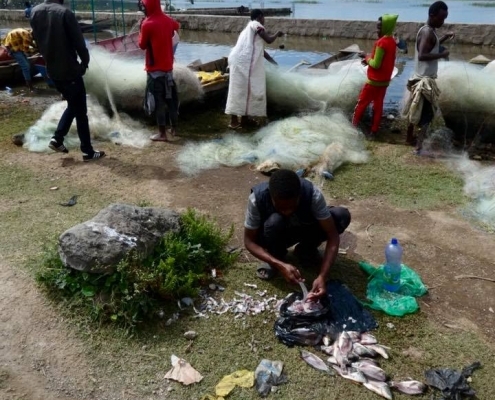 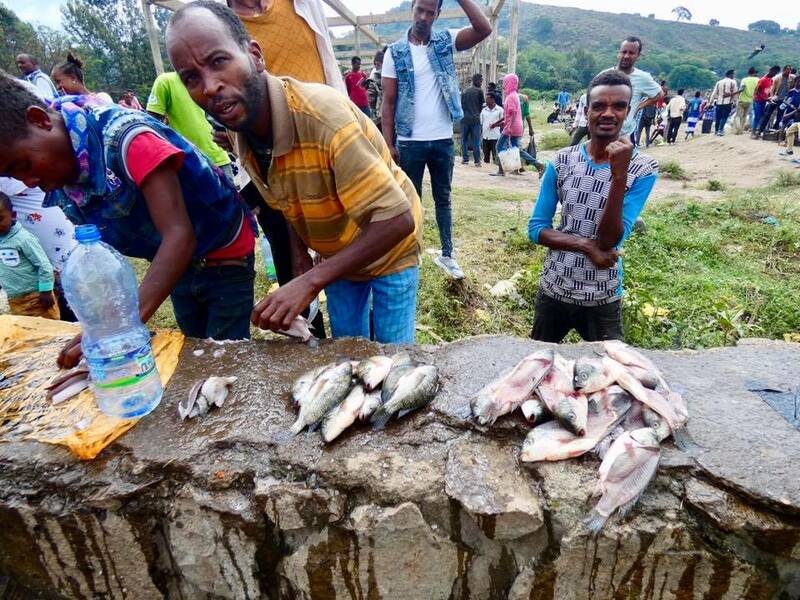 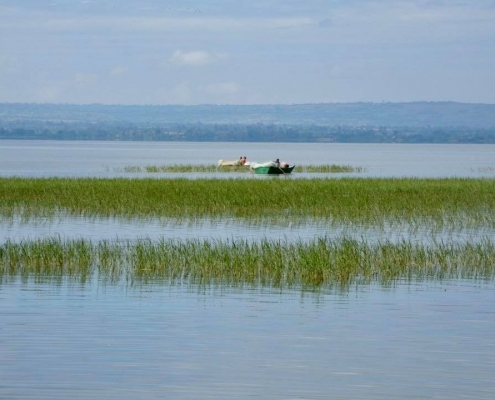 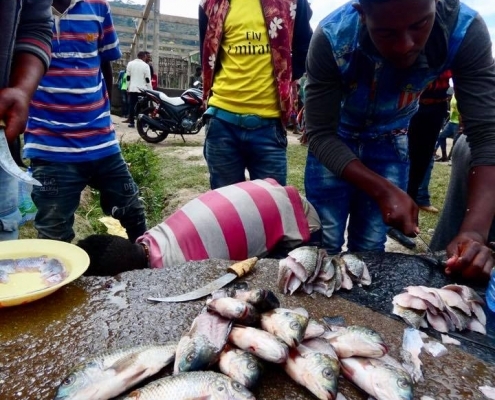 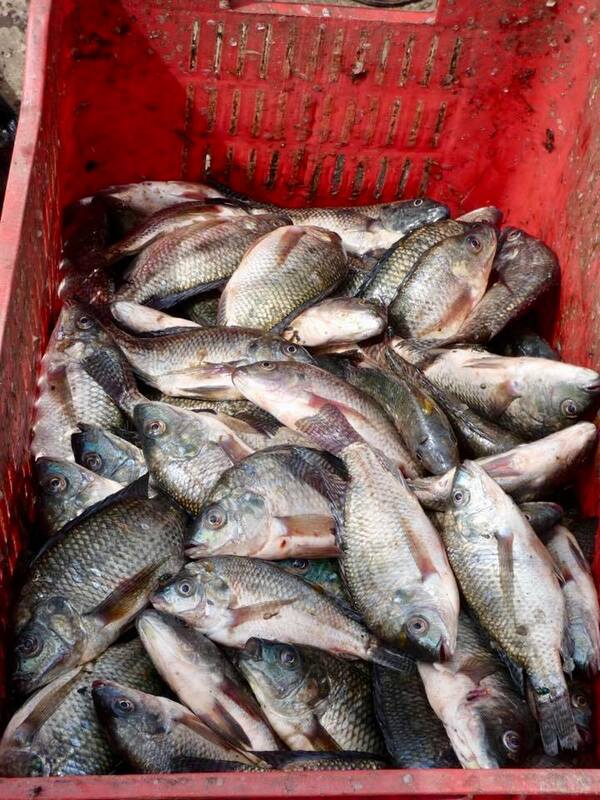 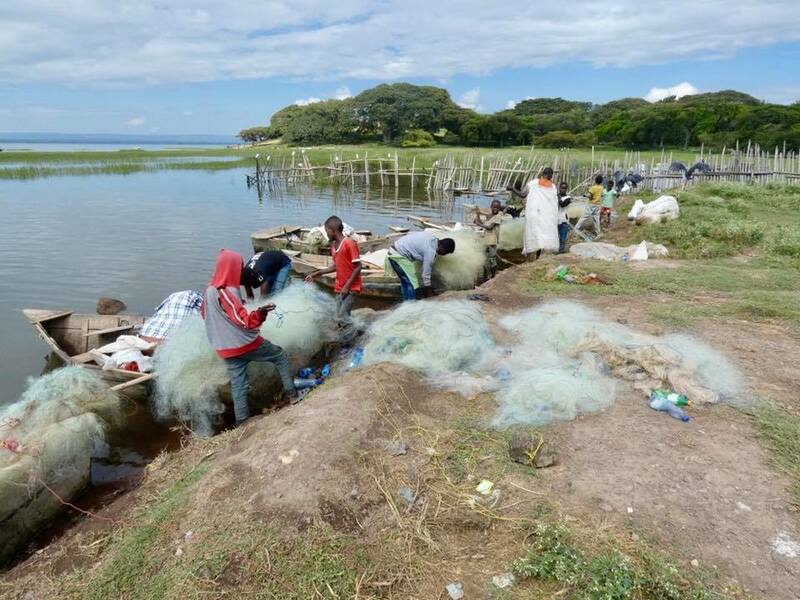 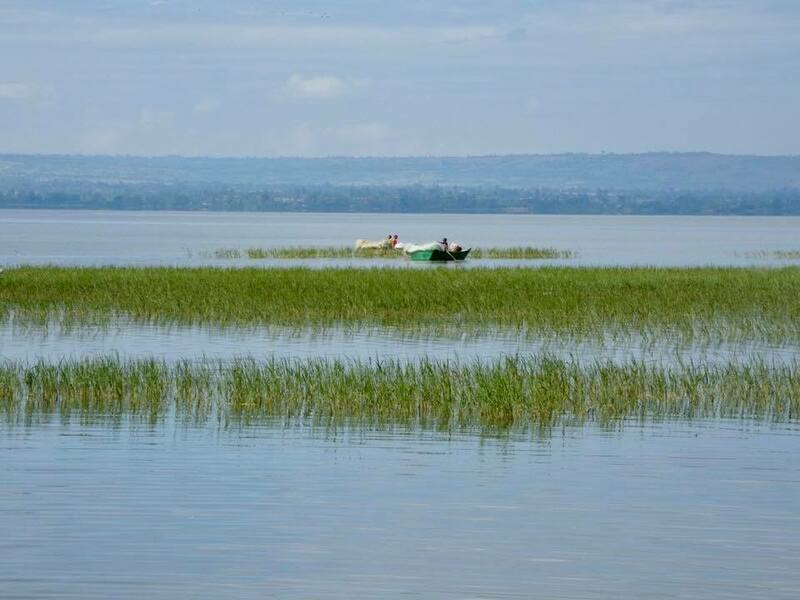 You wanna see a local market and observe spectacular wildlife – come to the fish market at the shore of Lake Awassa. 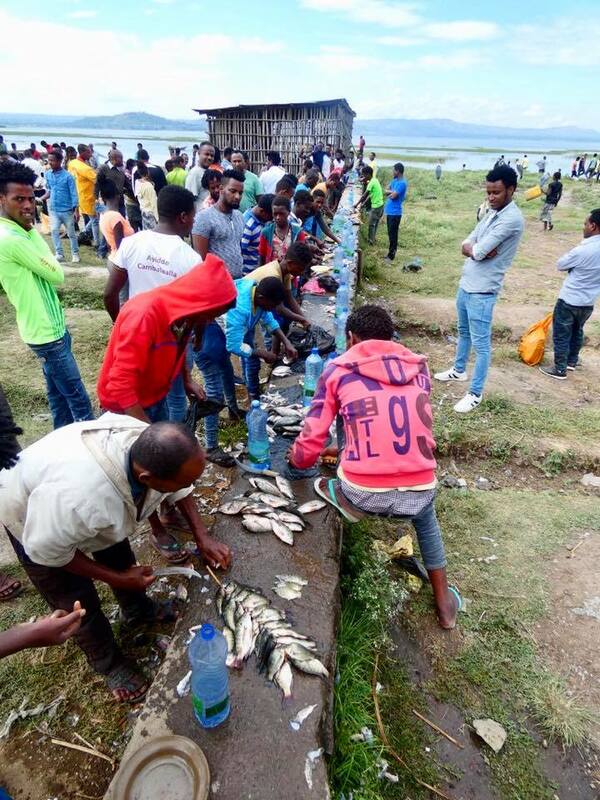 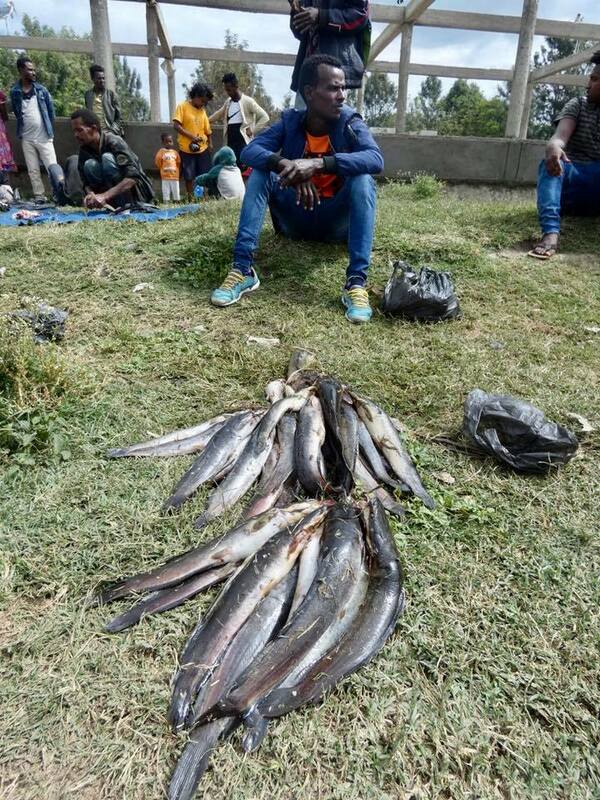 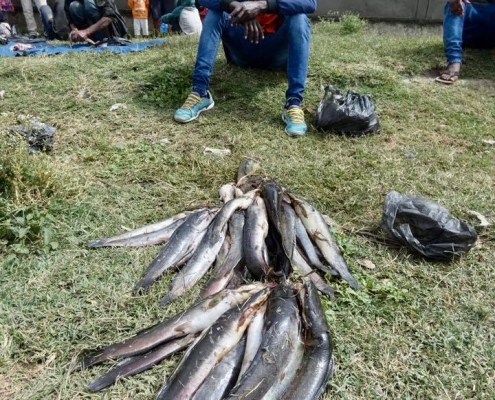 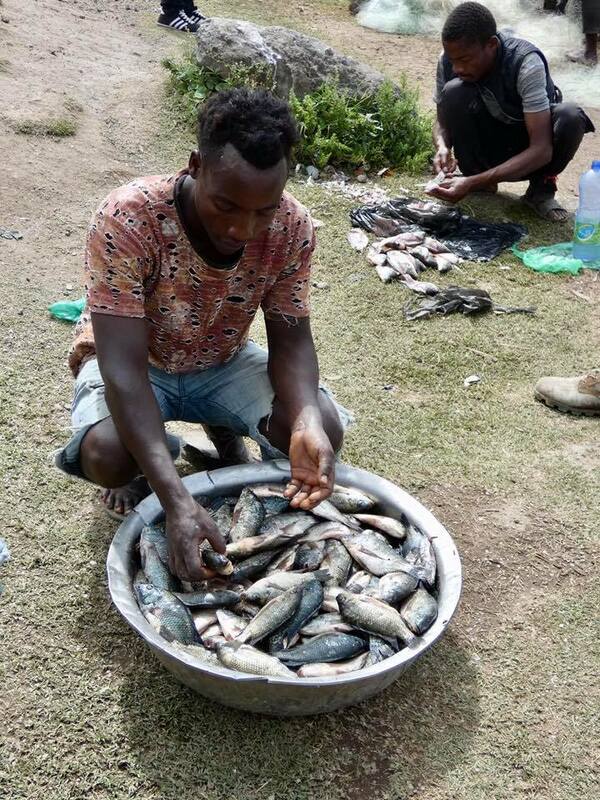 Fishermen sell huge amount of mostly tiny and dinky freshwater lake fish that is cleaned and gutted and often grilled or eaten raw right here in the most insanitary conditions. 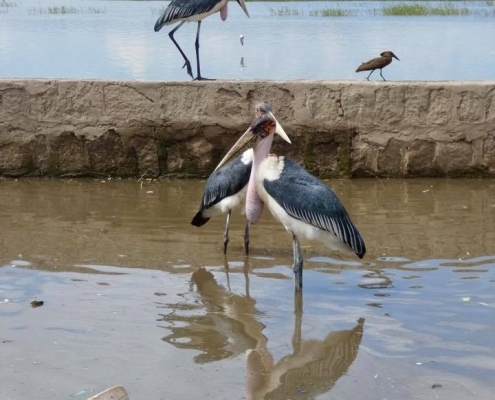 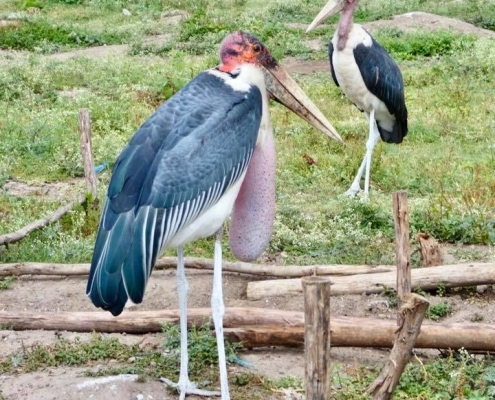 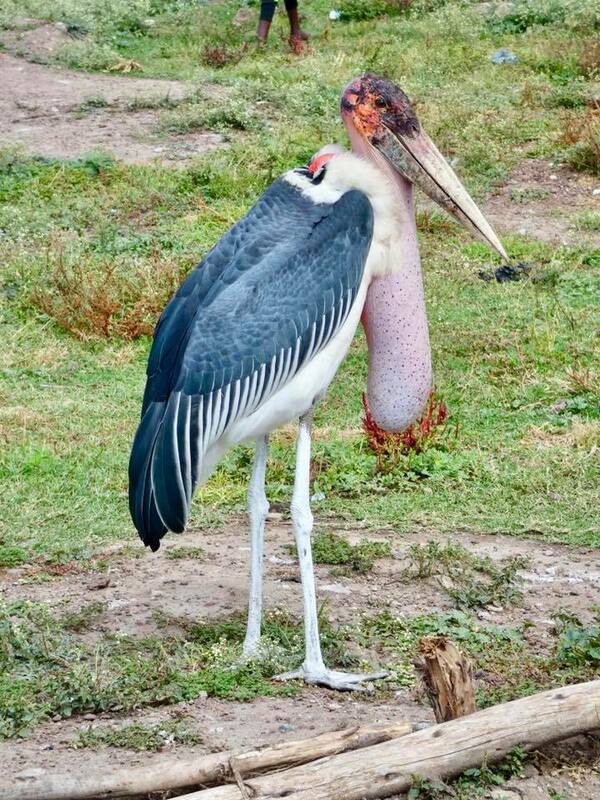 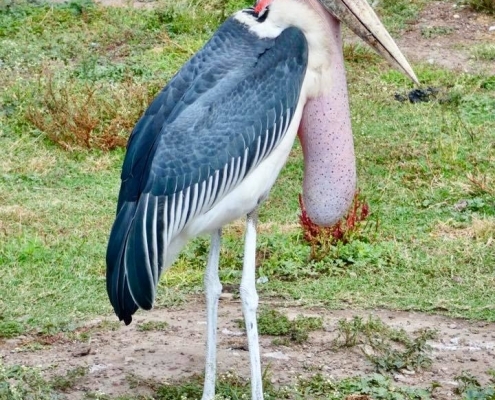 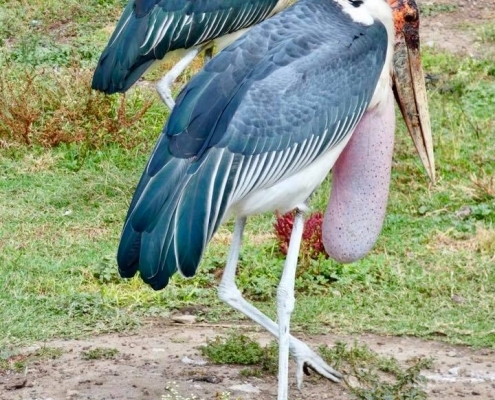 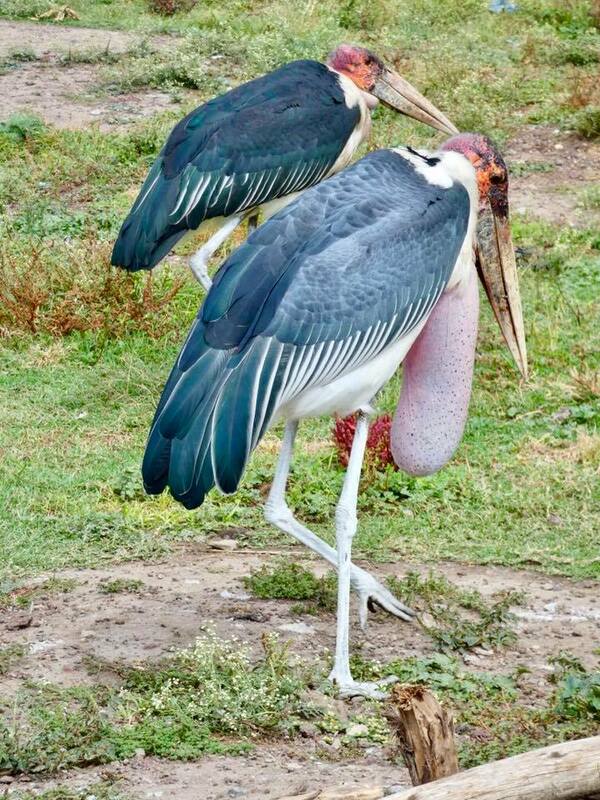 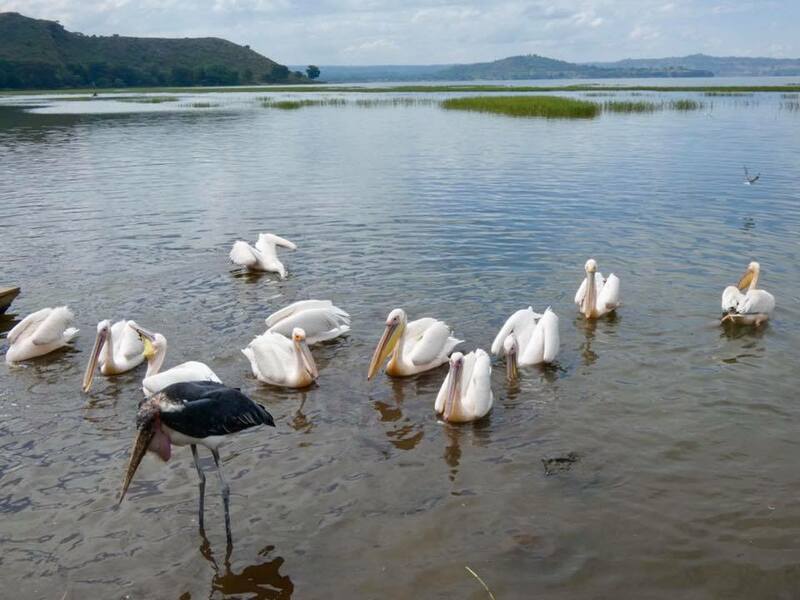 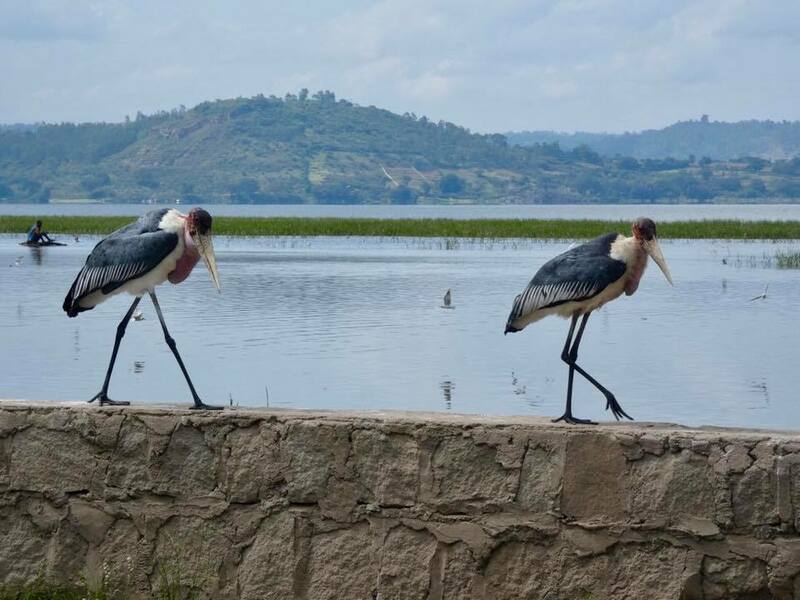 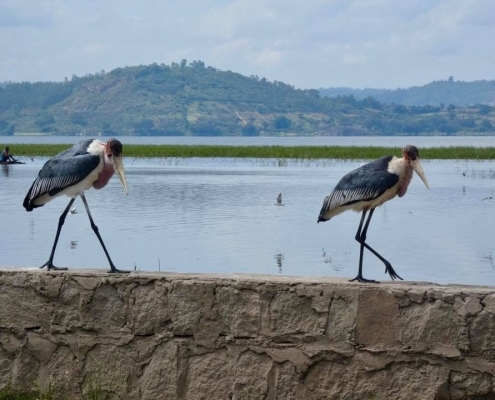 Bird life is super prolific as hordes of white pelicans and massive maribu storks with huge throat sacks come to feast on all this. 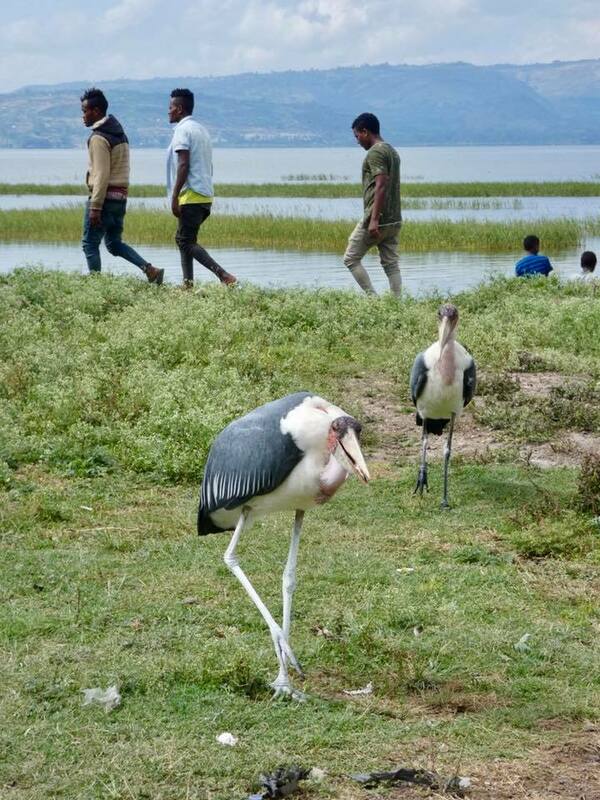 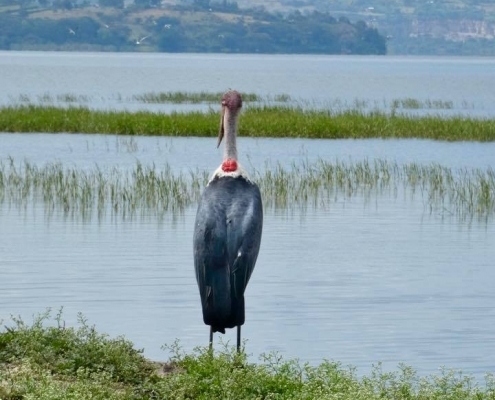 You can get really close to these giant birds that are more preoccupied with all the fish guts and leftovers thrown all around the lake coastline. 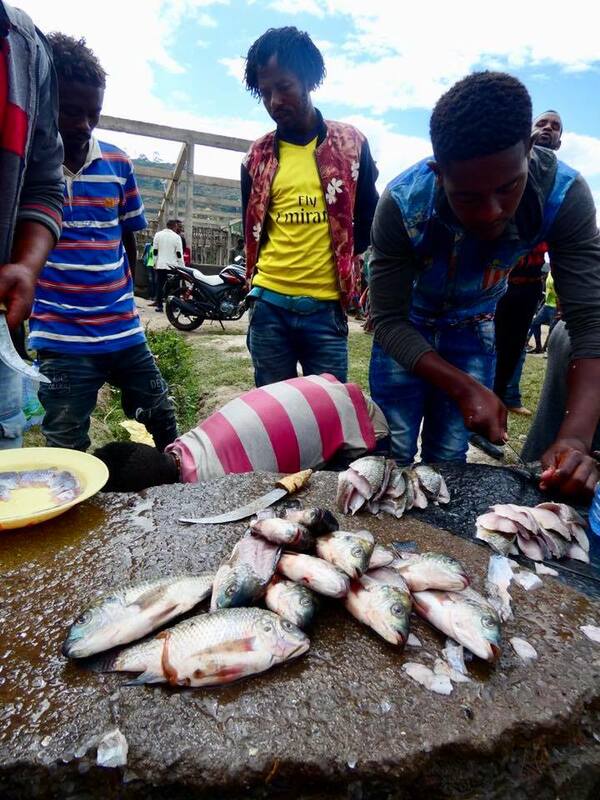 I was tempted to try the raw fish here but once I saw how it’s being gutted right on the ground – opted against what would have been a guaranteed food poisoning.